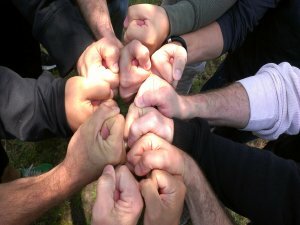 Local men's circles or groups are the heart of the network of Men's spirituality. They provide a place to meet together at a deep level with other men. There are a variety of local circles and groups in Ireland (North and South). A current listing of local groups can be found below. Click each group for further information about contacts, venues and practical arrangements. If there isn't one near you, perhaps you could consider setting up a group; we can help by identifying other men in your area. Subscribe to our Newsletter and Mailing List to be kept informed of events. Want to be kept up to date about what is happening on the Male Journey? Just sign up here.